Fast passage! This is a mile-making journey, its purpose is to bring the Ship from Hamburg to Oban. The sailing route depends on the weather and will be determined by the Captain. 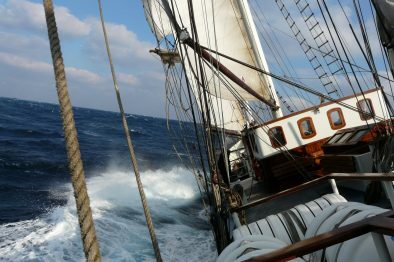 If you want to join a Tall Ship for a sailing experience and stopping in various ports is not important to you, this is the right journey for that! Open for all Windseekers, minimum age 18 years (15-18 at request). 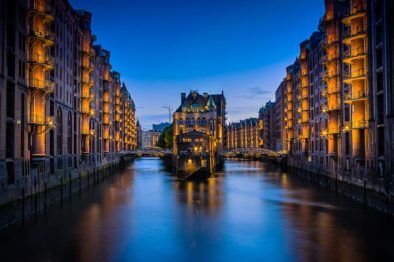 Hamburg is the second-biggest city in Germany and a second-largest port in Europe. The port itself if a major tourist attraction, with its numerous canals, bridges and buildings from the past eras, as well as the naval museum Museumshafen Oevelgönne. Hafengeburtstag is a funfair to honor the birthday of the port of Hamburg with a party and a ship parade. Take a walk in the Planten un Blomen Park with its different fascinating sections and cross the Elbe in an old tunnel underneath. 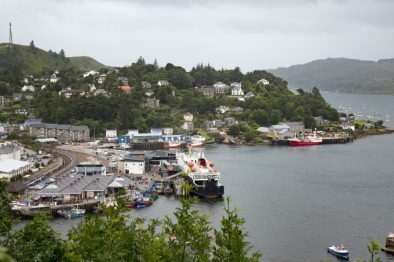 Oban (meaning ‘little bay’ in Gaelic) is a small harbor town on the west coast of Scotland, famous for its whiskey distillery. The town occupies a beautiful setting in the Firth of Lorn, and is a perfect place to find shelter from the Atlantic. Walking around town is a pleasure, and close by you’ll find mountains, castles, dramatic coastal scenery, and McCaig’s tower that resembles the Colosseum. In the first week of August, the town plays host to West Highland week, a yearly sailing regatta. "Worked together with different nationalities for a week was a life changing, hilarious experience." "Discovering how far you can surpass yourself and push your limits out of your comfort zone"